Elizabeth, at about age 11, and her younger brother started playing with clay during Summer art lessons with Franklin Jew (a Potters guild member) at Cal Western in 1968. "We were within walking distance of the Cal Western art building, so my Mom let us walk through the canyon to the afternoon program." 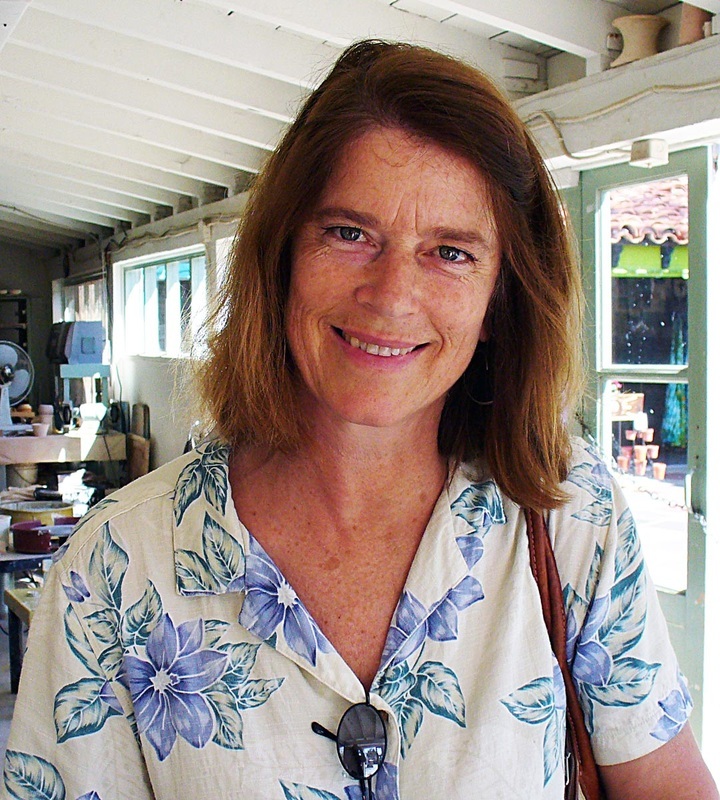 A few years later, Elizabeth saw a pottery studio in Ocean Beach with the same great teacher as the owner. "At first he told me I was too young to join the class. So, I came back a few times and helped out with various jobs. Stirring glazes, wedging clay, and helping any way I could". Eventually, I was allowed to join the class at age 15". Franklin Jew was a very giving teacher. Giving students permission to learn and make mistakes as they needed, while they learned more and became more advanced. After High School, Elizabeth became an apprentice to master potter Harry Holl, of Scargo Stoneware Pottery, on Cape Cod, Massachusetts. A position she held for 2 years. There were 1-3 apprentices doing many jobs, including making clay, glazes, waiting on customers, sweeping and BEST OF ALL- throwing production items for the studio. "This was wonderful time, but lots of work". A few years later Elizabeth returned to San Diego and found out about Spanish Village and the San Diego Potters' Guild. She took many classes from local colleges/workshops and worked with production studios. (This time period was also devoted to a professional ballet/modern dance company). Elizabeth became a guild member in 1983.